Delhites love their momos and more so, the places that do them well. One major city favourite for all momotarians? Yashwant Place. We love them not only because they offer the most juicy, filling momos, but also because they can hook you up with alcohol (woot woot!). While most of the shops here have pretty much the same menu and food too, our college days spent chilling at Yashwant and the recent trip we made helped us realise that some shops are actually a cut above the rest. Here are our five favourites. Set off on a momo trail now! Any Yashwant Place loyalist will tell you that this is THE place for steamed momos and most don’t even bother looking beyond Chimney Sizzlers. We’re the kind of people that like our momos without frills, and we absolutely loved the simple but succulent Chicken Steam Momos here. Be sure to get a few fruit beers too, and you’ll be sorted. If you love spicy food, you should definitely try the Chicken Tandoori Momo at Chinese Bite. The momos here come coated with a flavourful spice rub, and the tender (but plain salted) keema inside offsets the spiciness. Heads up – you’ll need a bottle of Pulpy Orange after to stop the flames on your tongue. Bored of your usual tandoori, fried and steam momos? Milan’s Chilli Chicken Momos will prove to be a good alternative. You can ask the folks here to make your momos with gravy or without; we opted for the gravy version, and were fairly pleased with it. One piece of advice you should maybe follow: go with an empty stomach. The gravy momo here is heavier than your regular ones. 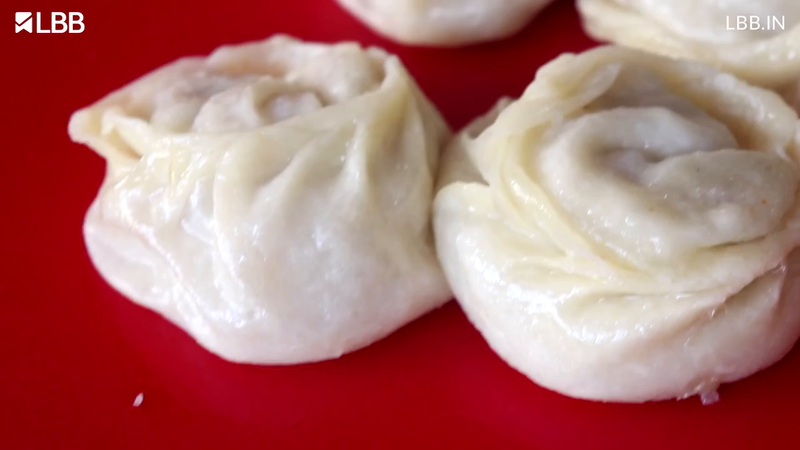 Steamed momos are what these guys do best. Order a few plates of their chicken and mutton steamed momos, a couple of fruit beers (or well, beer) and that’s all you need for a good time at Yashwant Place. For some reason, we’ve never managed to try the sizzlers at Laguna Sizzlers, but their thukpa is another good option if you’re done with your quota of momos. One of the corner shops near the Chanakya Mall, Bamboo Chopstix is a place we feel doesn’t get the attention it deserves. While we prefer the honey chilli potato here to their momos, our friends recommend this place for their mutton steamed momos too.